The year 2018 was marked by natural disasters, major-power tensions, and political upheaval. But there were also notable bright spots in which international cooperation spurred progress. CFR editors highlight seven of them. 1. Ethiopia and Eritrea agree to end decades-long hostilities at their shared border in June, shortly after Abiy Ahmed became prime minister of Ethiopia. Soon after, the countries reopen embassies in each other’s capitals, commercial flights resume, and major border crossings reopen. 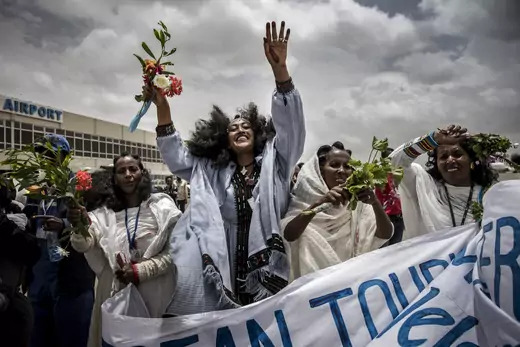 Abiy’s government also undertakes a slew of reforms, including economic liberalization and the legalization of several banned political organizations, hailed by many Ethiopians, foreign governments, and human rights groups. 2. Several species are making comebacks after nearing extinction due to hunting and deforestation. Researchers at the University of California Santa Cruz, found in a study published in May that humpback whales in the waters near Antarctica are giving birth to more calves. Their populations are growing, largely due to conservation efforts that include an international ban on commercial whaling introduced in 1982. Also boosted by conservation efforts are rebounding populations of bald eagles across North America and mountain gorillas in Central and East Africa. 3. 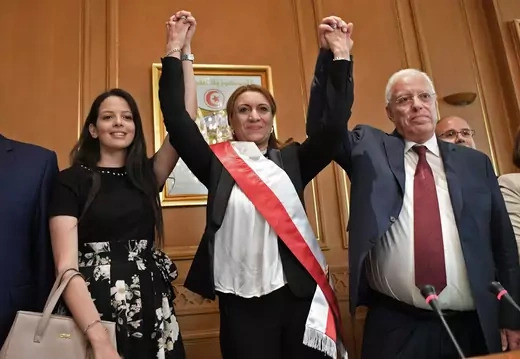 Human rights groups and democracy advocates hail broad advances for women in public office, citing a record number of women candidates in elections in Afghanistan, Brazil, Lebanon, Mexico, Tunisia, and the United States. Leaders in Ethiopia and Rwanda announce gender-balanced cabinets, and Spain sees women appointed to eleven of its seventeen cabinet posts, the highest number of female ministers of any European government. 4. 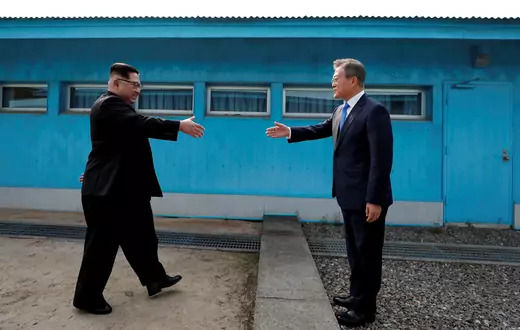 A flurry of diplomacy between North and South Korea over the course of the year raises hopes for peace on the peninsula, though it yields little so far on North Korean denuclearization. South Korea invites athletes from the North to participate in the Winter Olympics in Pyeongchang as part of a unified Korean team, and South Korean President Moon Jae-in and North Korean leader Kim Jong-un go on to hold three summits, signing a landmark peace declaration at their April meeting. The two countries remove some guard posts and begin demining along the demilitarized zone, as well as start work to resume rail transport. The North also returns the remains of U.S. troops killed in the Korean War. 5. Malawi, a country with one of the highest rates of HIV/AIDS infections, reports a dramatic reversal of the epidemic, with AIDS-related deaths reduced by half and new HIV infections down by 40 percent since 2010, according to UNAIDS [PDF]. The progress reflects a global trend, with AIDS-related deaths down by one-third over the same period. 6. There were record launches and unprecedented missions to space in 2018. The private aerospace company SpaceX launches the Falcon Heavy, the world’s most powerful rocket, in February from the Kennedy Space Center in Florida. It is one of the company’s record twenty launches this year, and its payload, a Tesla Roadster, travels hundreds of millions of miles from earth. 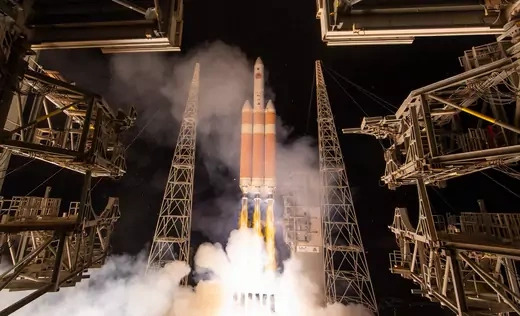 In August, NASA launches the Parker solar probe to explore the sun, coming closer to its surface than any spacecraft before it, and in November its InSight lander touches down on Mars to collect data that will shed light on the planet’s formation. It is the agency’s first landing on the planet since 2012. 7. 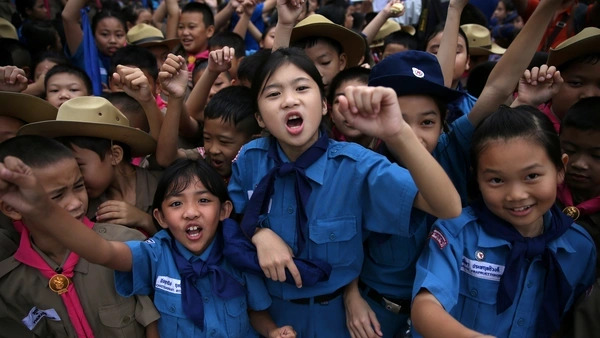 Averting a tragedy, twelve boys and their soccer coach are rescued from Tham Luang Cave in Thailand. The international effort involves thousands of divers, soldiers, and police officers from Thailand, Britain, the United States, and other countries. Rescuers pumped water from the cave system and transported supplies to the team, which was trapped for more than two weeks. A former Thai Navy SEAL died delivering air supplies to the group.